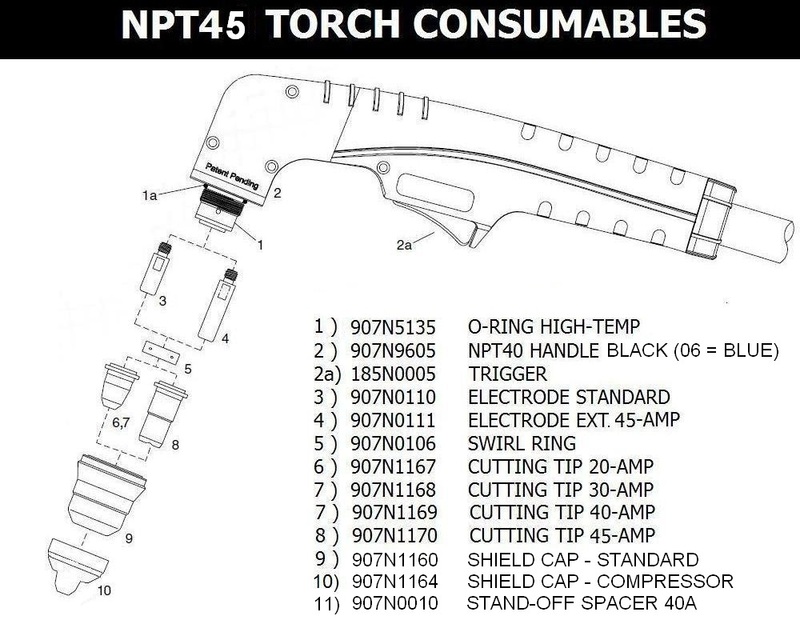 The Nu-Tec® NPT45 & NPT48 plasma torches are standard equipment on many of today's 20-50 amp plasma cutting systems, directly interchangeable with all S25 & S45 torches and the perfect replacement torch for Nu-Tec® NPT32S or Binzel® PSB31KK discontinued torches. This compact and economical torch features the highest cutting performance with 13' cable assembly using "best-cost" consumables. Will not work as replacement for PSB30/31 push-to-start plasma torches. This style of torch is standard equipment on Cornwell®, Mac®, Matco®, MAG-Power®, and many other plasma cutting systems from 20 - 50 Amp. NPT 2060 NT2060 Torch Universal professional grade plasma cutting torch rated from 20 - 120 amps with click-lock electrode and high frequency or non-high frequency ignition capability. 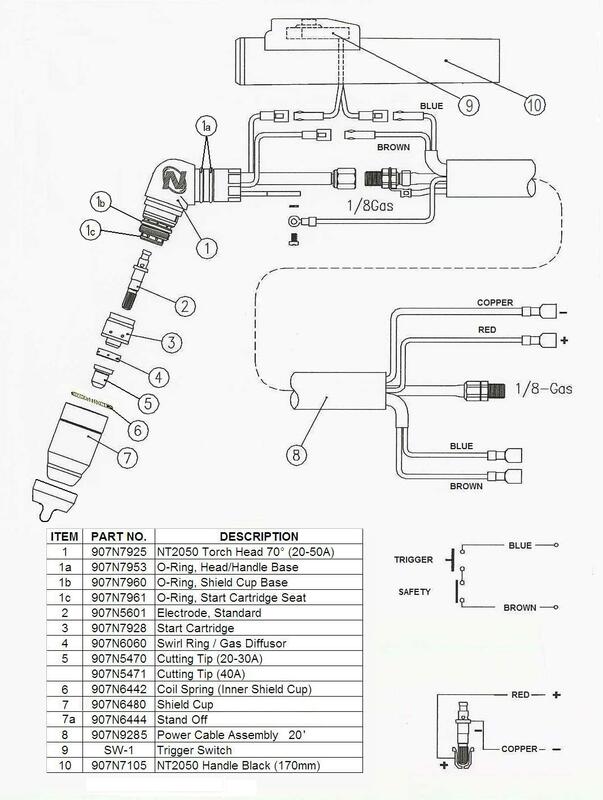 Standard torch available in 12' through 50' cable assembly with most manufacturer's machine connects. Torch design supplied as original equipment on Cornwell®, Firepower® and Mac Tools® cutters and a perfect replacement torch for all other plasma cutting systems. 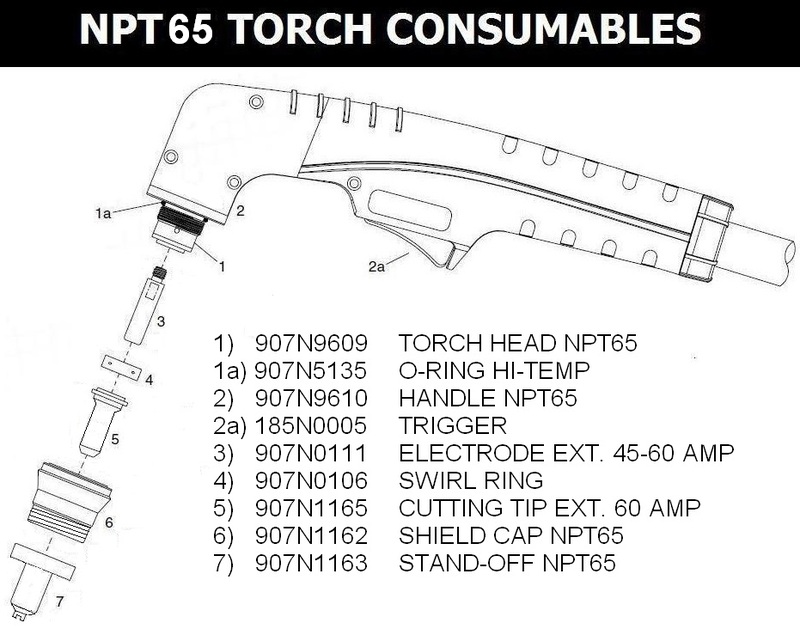 NPT 12 Torch Professional plasma cutting torch rated from 60 to 150 amps and available in both hand-held and auto-machine barrel configurations. Versatile torch is available with standard, extended length, and gouging consumables for all types of plasma cutting applications. Standard torch available in 12' through 50' cable assembly with most manufacturer's machine connects. 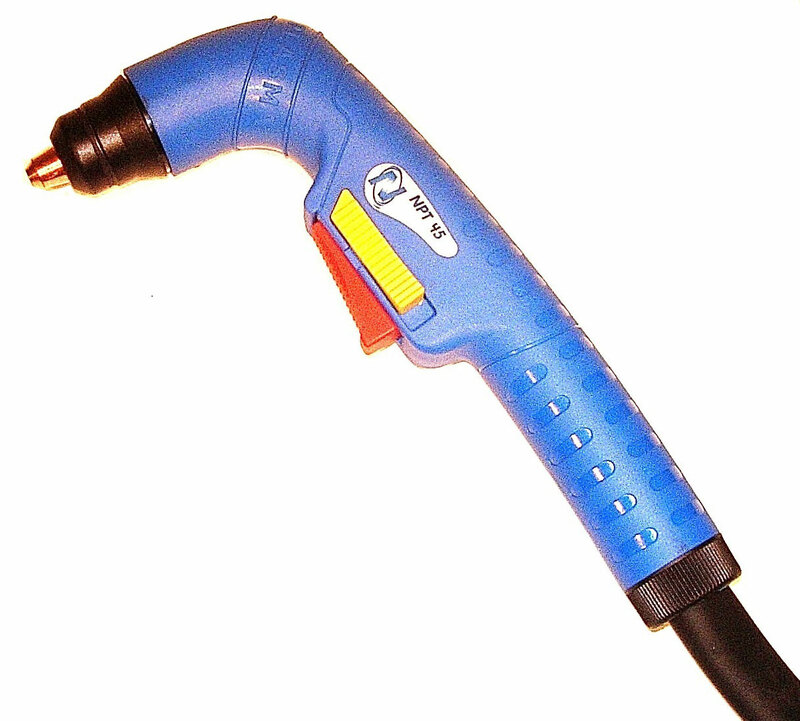 NPT 32S Torch Compact workhorse plasma cutting torch rated to 35 amps that has proven performance over the years. 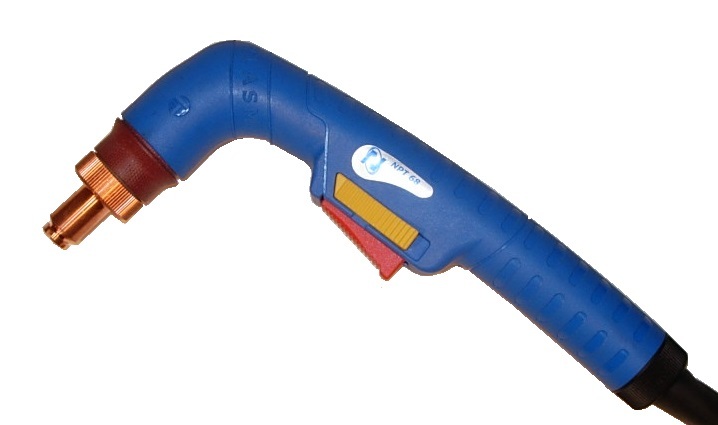 One of the first non-high frequency pilot-arc ignition torches available for portable plasma cutting systems. 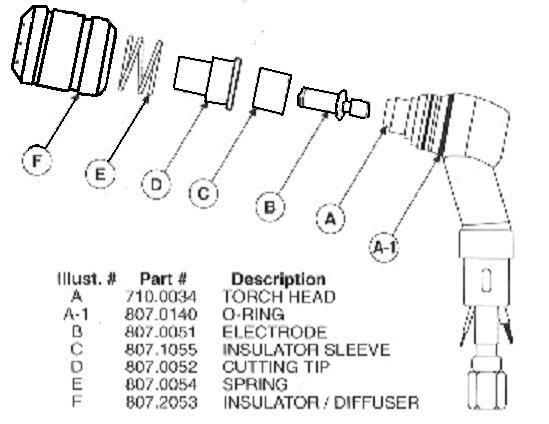 Standard torch available in 12' cable assembly with most manufacturer's machine connects.Torch was supplied as original equipment on early Chicago Electric, Clarke, DaytonaMig, Mac Tools, Powerarc, SIP and other portable plasma cutters. 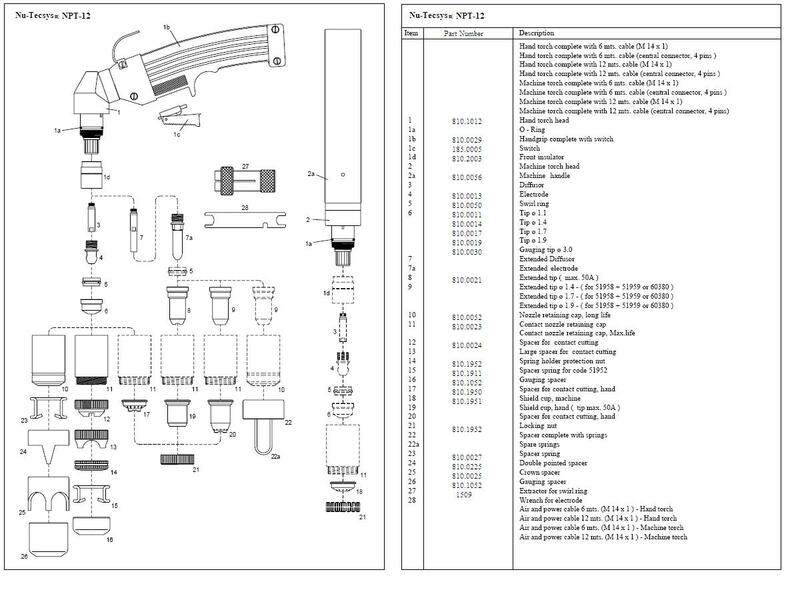 Nu-Tec Systems offers a complete supply of NPT Series Plasma consumables and stocks plasma consumables for Cebora®, ESAB®, Hobart®, Hypertherm®, Lincoln®, Linde/L-Tec®, Miller®, Panasonic®, Thermal Dynamics®, Trafimet® and most other manufacturer's hard-to-find replacement parts. Please direct any questions or comments to our staff at the e-mail address listed below.